The Roman remains, especially the Temple of Sulis Minerva and the baths complex (based around the hot springs at the heart of the Roman city of Aquae Sulis, which have remained at the heart of the City’s development ever since) are amongst the most famous and important Roman remains north of the Alps, and marked the beginning of Bath’s history as a spa town. The Georgian city reflects the ambitions of John Wood Senior, Ralph Allen, and Richard ‘Beau’ Nash to make Bath into one of the most beautiful cities in Europe, with architecture and landscape combined harmoniously for the enjoyment of the spa town’s cure takers. The Neo-classical style of the public buildings (such as the Assembly Rooms and the Pump Room) harmonizes with the grandiose proportions of the monumental ensembles (such as Queen Square, Circus, and Royal Crescent) and collectively reflects the ambitions, particularly social, of the spa city in the 18th century. The individual Georgian buildings reflect the profound influence of Palladio, and their collective scale, style, and the organisation of the spaces between buildings epitomises the success of architects such as the John Woods, Robert Adam, Thomas Baldwin, and John Palmer in transposing Palladio’s ideas to the scale of a complete city, situated in a hollow in the hills and built to a Picturesque landscape aestheticism creating a strong garden city feel, more akin to the 19th century garden cities than the 17th century Renaissance cities. Bath might just be the most charming city in England. While originally built and best known for its Roman baths, it is also an excellent showcase of English Georgian architecture. The city has a whole is very walkable and I found it to be one of the highlights of England. In addition to the Roman baths, Bath is home to Bath Abbey, the Fashion Museum and a host of Georgian buildings. The riverfront area is especially picturesque. The City of Bath is a cultural UNESCO World Heritage Site in Somerset, England. It was inscribed in 1987 and is one of the most popular tourist attractions in the city. 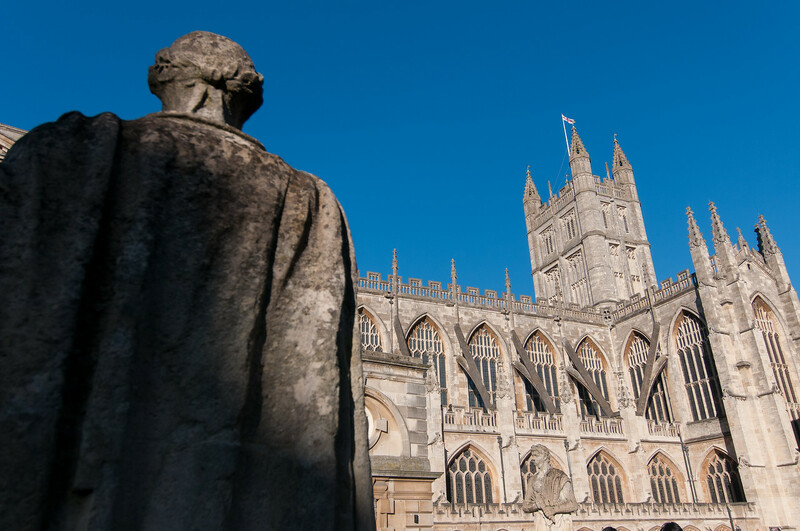 This city is located within the valley of River Avon and has a population of more or less 90,000 people. It is most famous for its Roman-built baths. During the time of the Romans, the city was built into a spa. 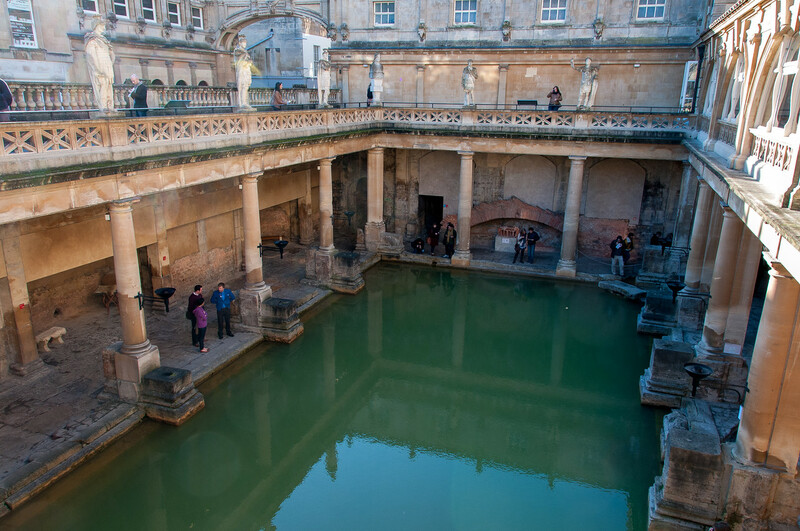 It was even called Aquae Sulis, which means “the waters of Sulis”. This was in c. AD 60 when the Romans built baths and a temple even though hot springs were not known during this time. The historic value and the monumental ensemble in this city combine to help earn it the recognition from UNESCO as one of the World Heritage Sites in the United Kingdom. As mentioned earlier, the City of Bath was added to the UNESCO list in 1987. It was developed into a spa town during the Roman times due to the continuous flow of hot mineral water in the area. In fact, the average temperature of the water is 46 degree Celsius. The water is believed to contain 43 minerals. The thermal spa in Bath is the primary feature of this cultural UNESCO site. It is the only hot spring in Britain. This is composed of 250,000 gallons of water that flows through the spring every single day. In addition to the hot springs, the Roman Baths is considered as one of the best ruins left behind by the Romans that exhibit the traditional Roman architecture. The distinctive use of Roman architectural details among the Baths is also notable. 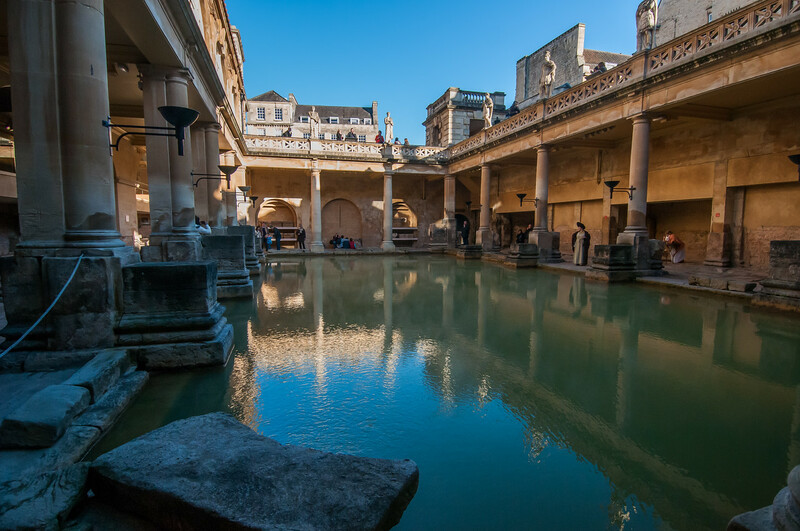 But aside from the Roman Baths, there are several other Roman ruins found within the City of Bath such as the Roman town of Aquae Sulis, Roman temple of Goddess Sulis Minerva, and Roman street plan and road system, hill forts, villas, and field systems. These structures reflect the extent of the Roman settlement in the city. The Roman Baths is a historical complex with cultural value and interest within the City of Bath. It is a well-preserved Roman site that is frequented by tourists. The baths themselves are situated below the street level of modern Bath. It is comprised of four main features: the 1) Sacred Spring, 2) Roman Bath House, 3) Roman Temple, and 4) Roman Bath Museum. In the 19th century, the Roman Baths were located above the street level. 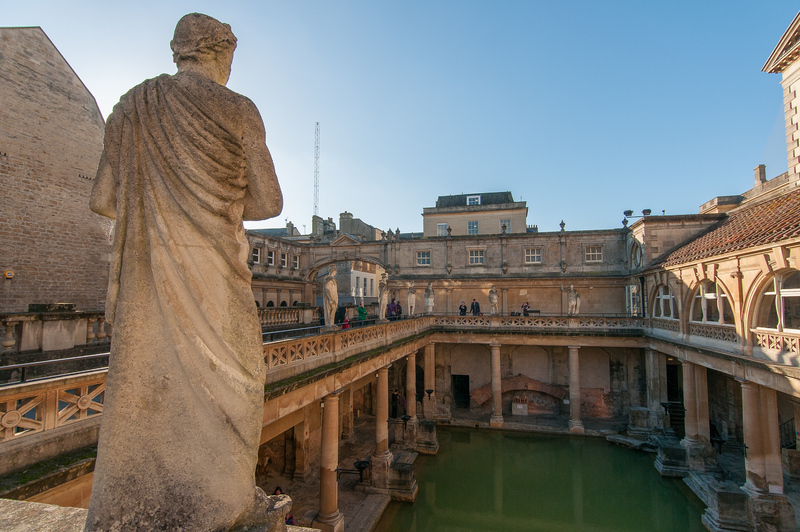 There are about 1 million tourists who visit the Roman Baths each year, along with the Grand Pump Room. It is also recognized as one of the Seven Natural Wonders in West Country. The baths have undergone various modifications over a period of several years. The spring is now located within buildings built during the 18th century. These buildings that surround the Roman Baths were designed by Architect John Wood, and a few others. For visitors who wish to drink the water from the hot spring, you can do so at the Grand Pump Room.